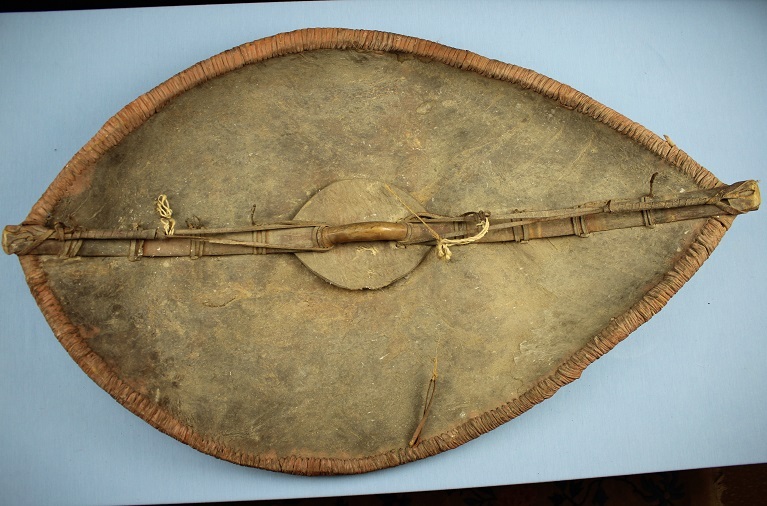 A classic Massai shield, early 20th century. This fine example measures 95cms tall and approx 63cms wide and remains in excellent condition throughout. 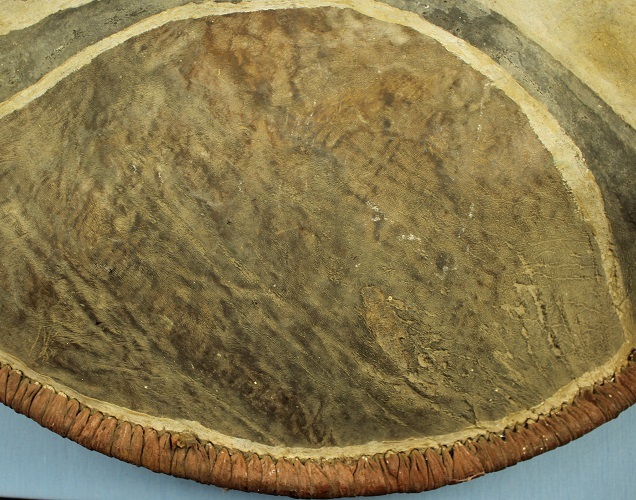 It is constructed from thick buffalo hide stretched over a wooden frame. 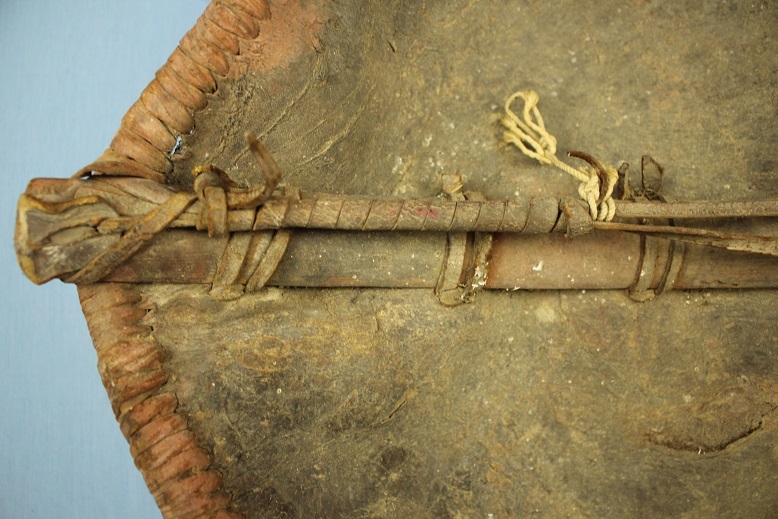 The hide is lashed with sinew strips to the outsides edges and the central rid, with the central handle is part of the central brace. There is a thick hide knuckle pad at this point too. 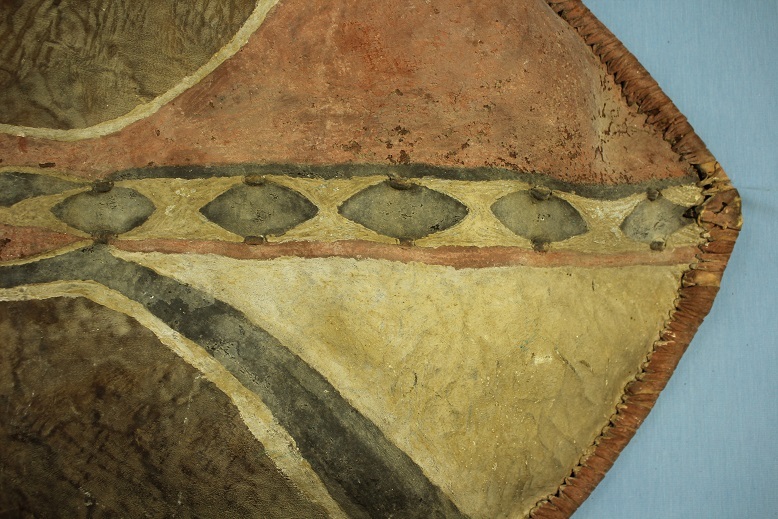 The outer surfaces are painted in traditional motifs with paint that was traditionally obtained by mixing earth with blood or the red sap of the solanum campylae fruit. White was derived from local clays, and black from the skins of burnt gourds. 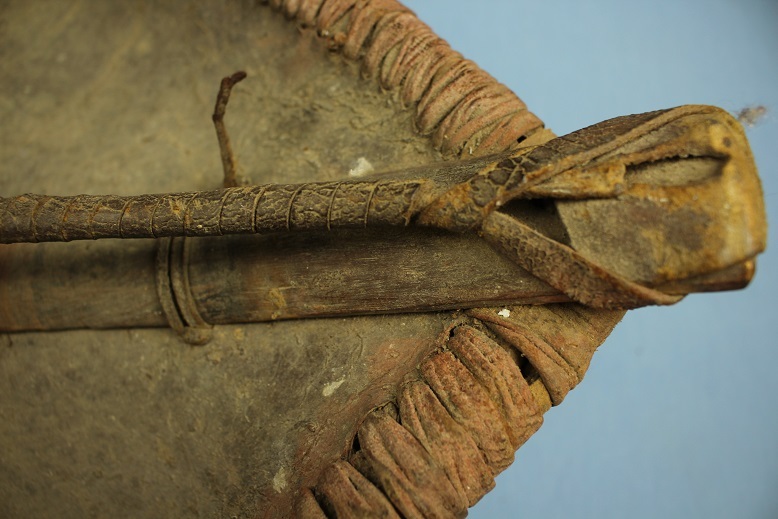 Shields were on of the Maasai warrior's most important tools. 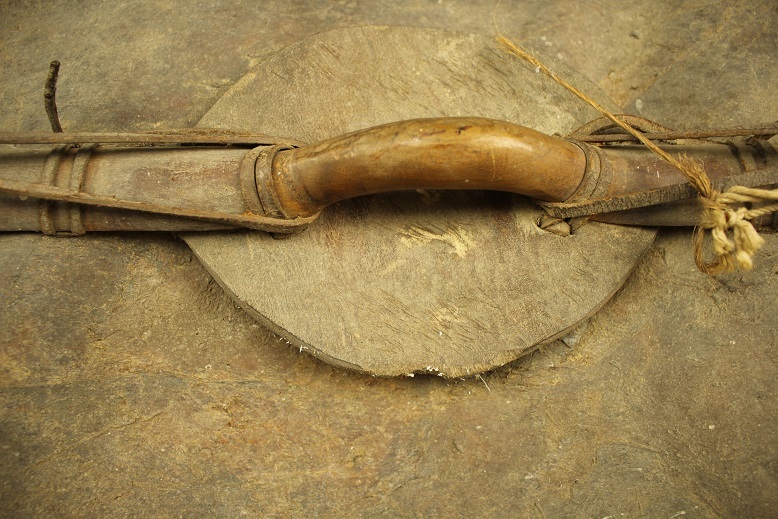 They were used in warfare and hunting as well as practice and training. 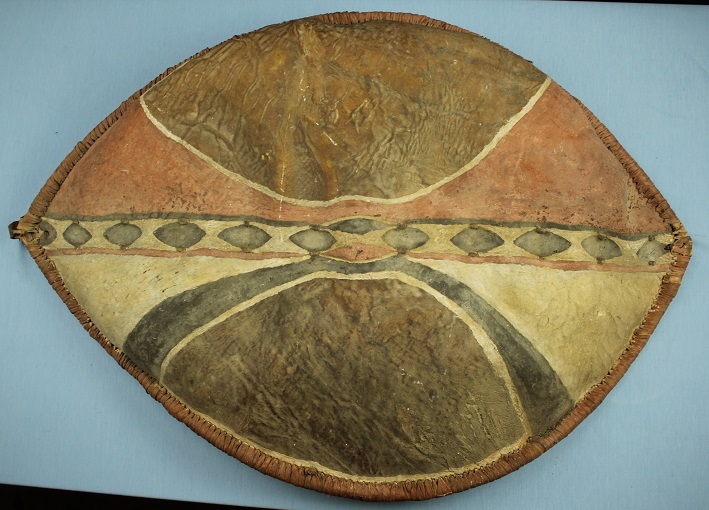 Outside of the warring context, however, shields were used in rites of passage and also functioned as prestige objects and symbols of tribal and status identification. 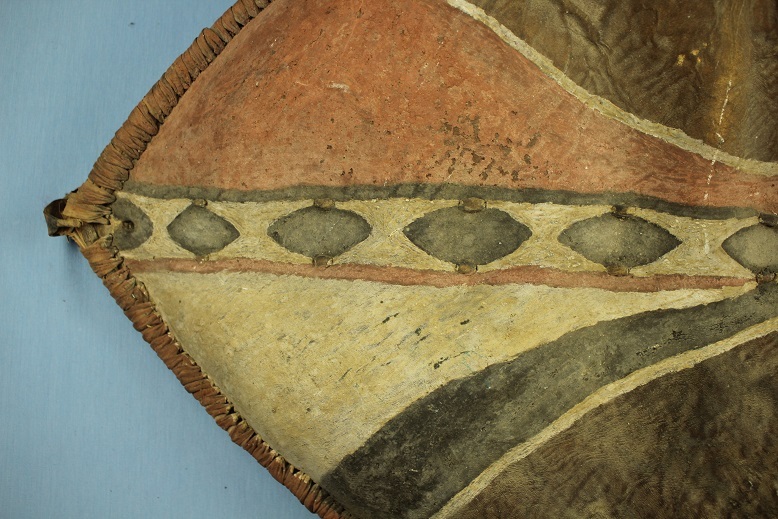 Early studies revealed that spear markings and shield designs were once used to tell between some of the Massai subgroups and also hinted at a larger, complex lineage identification system. 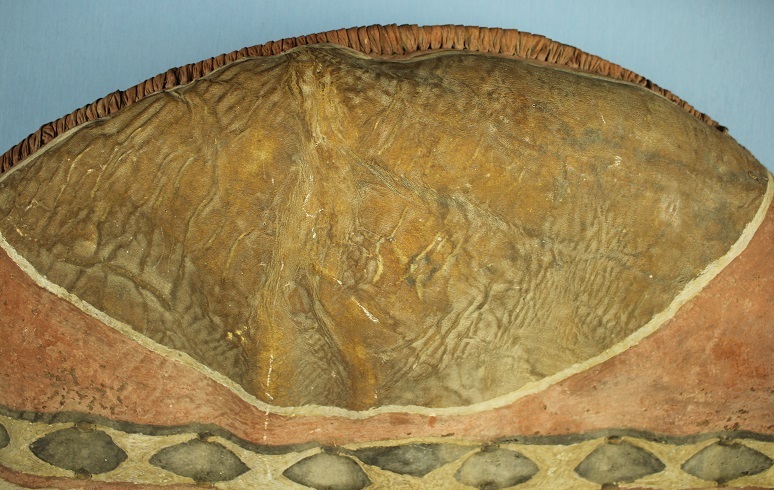 Shield designs are known as sirata. Different designs and colours represent different things; a red badge signifies great bravery in battle and is only painted with the permission of a high-ranking chief. The intricacy of design and high craftsmanship of Maasai shields extend beyond utilitarianism and convey the sense of honour and status with which their warrior owners were invested. A fine old shield not often encountered.